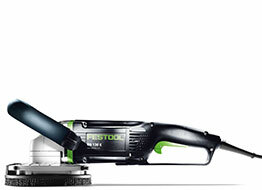 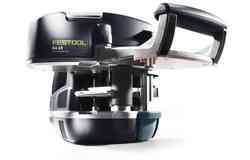 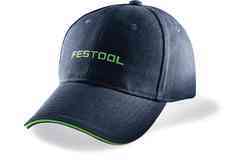 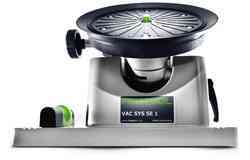 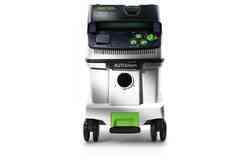 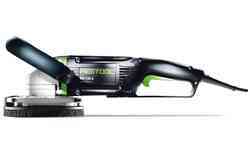 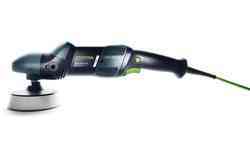 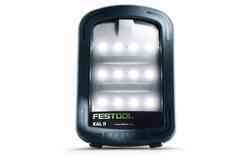 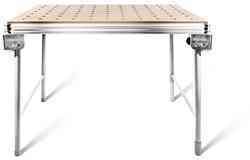 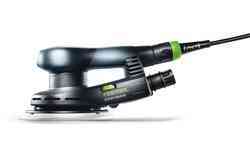 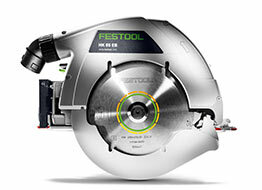 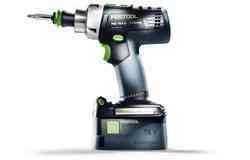 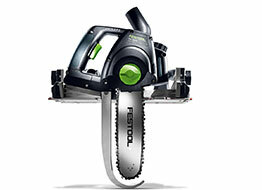 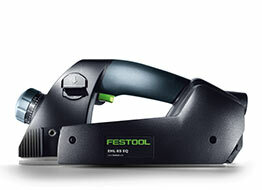 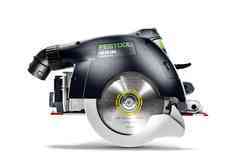 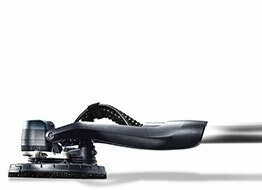 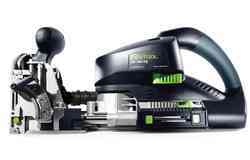 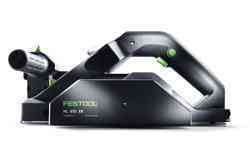 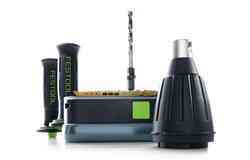 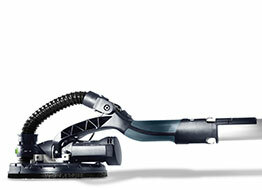 Compatible with Festool CT 26/36/48 mobile dust extractors – depending on application with or without AC cleaning. High volumes of dust, shavings and chips are now no longer a problem. 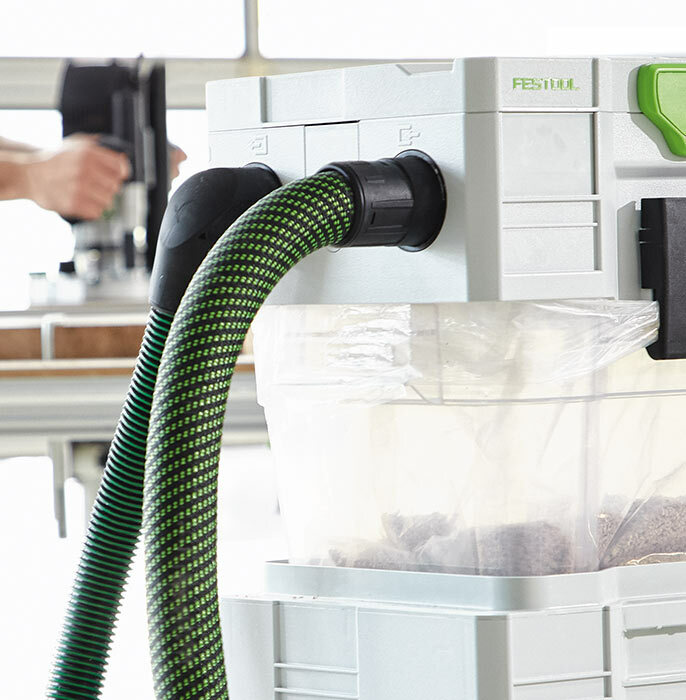 Neither for the main filter or the suction power. 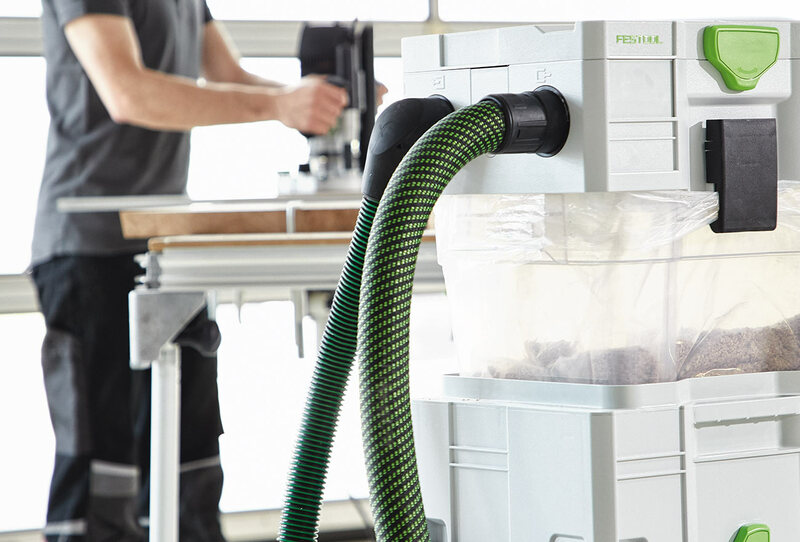 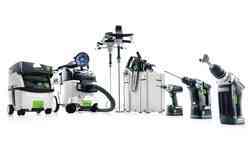 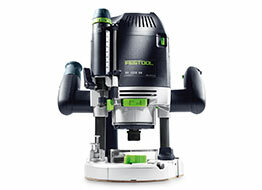 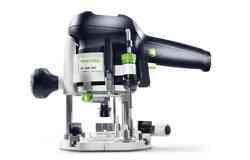 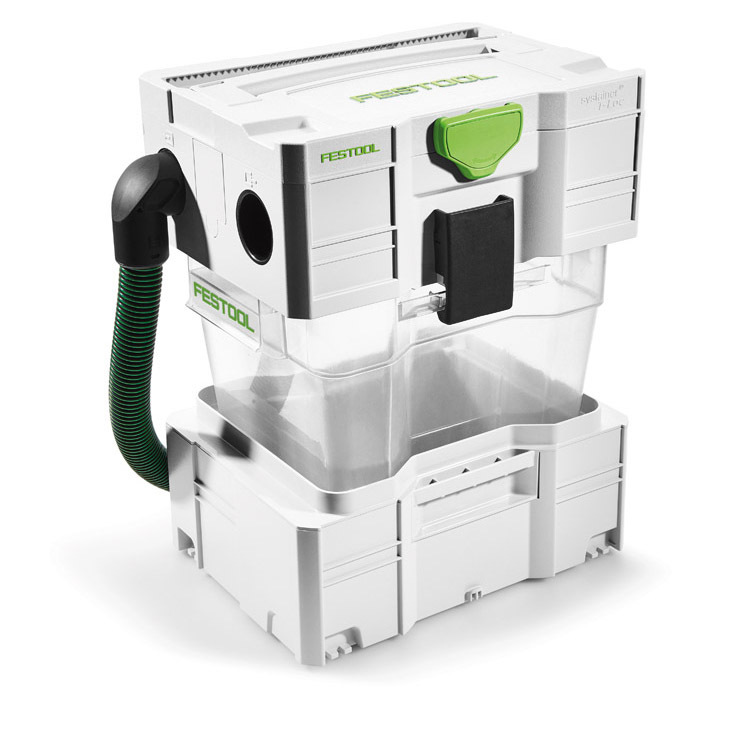 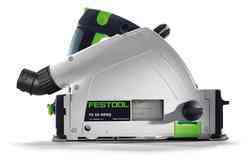 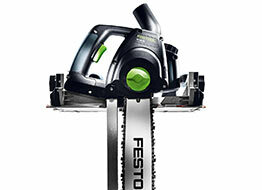 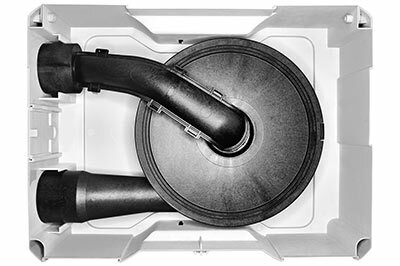 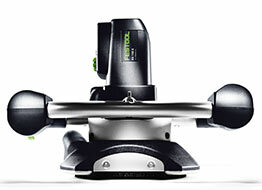 The pre-separator, which is compatible with Festool CT mobile dust extractors, collects up to 95% of dust before it reaches the mobile dust extractor. 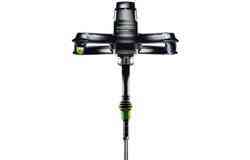 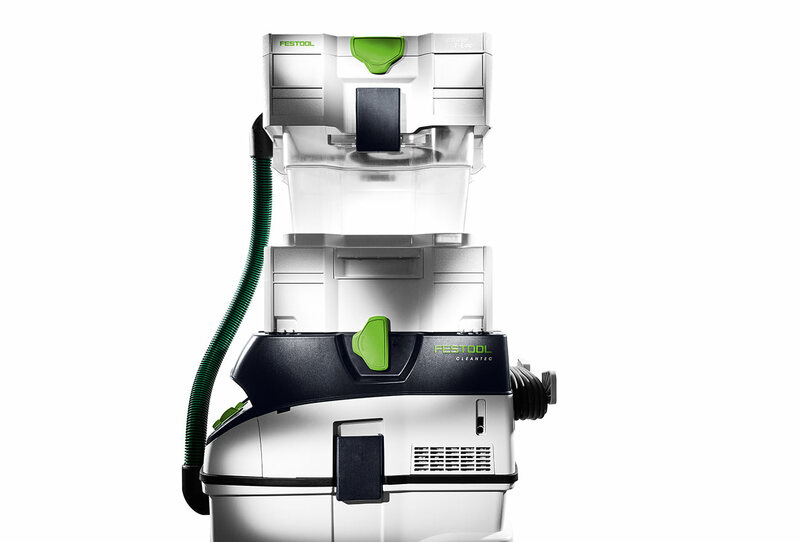 This reduces the load on the main filter and ensures consistently high suction power throughout the work process. 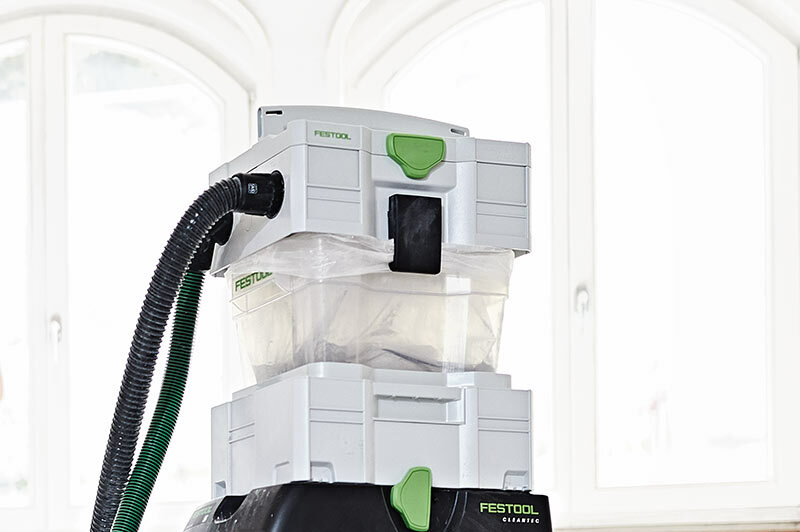 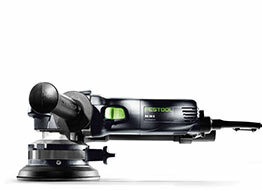 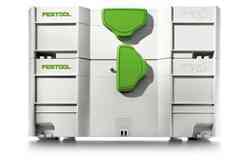 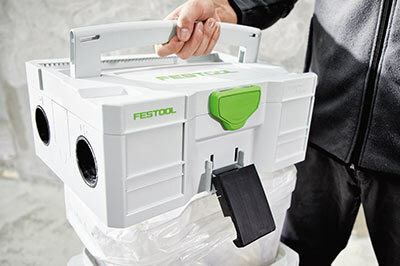 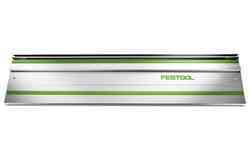 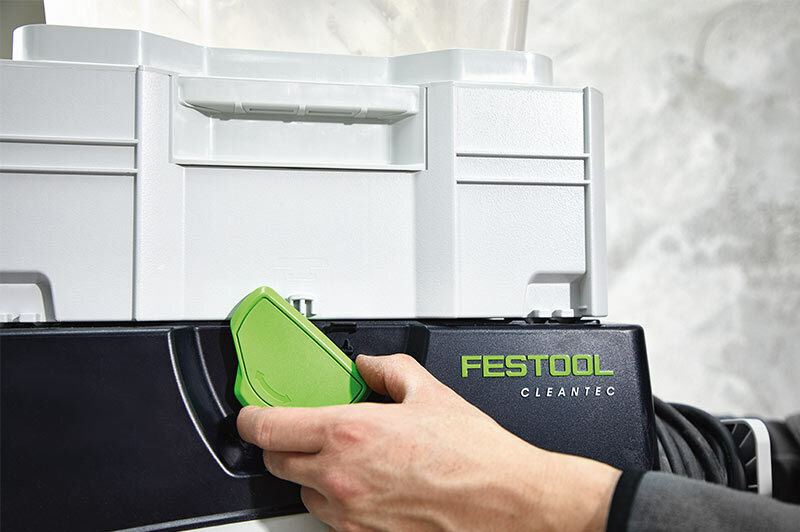 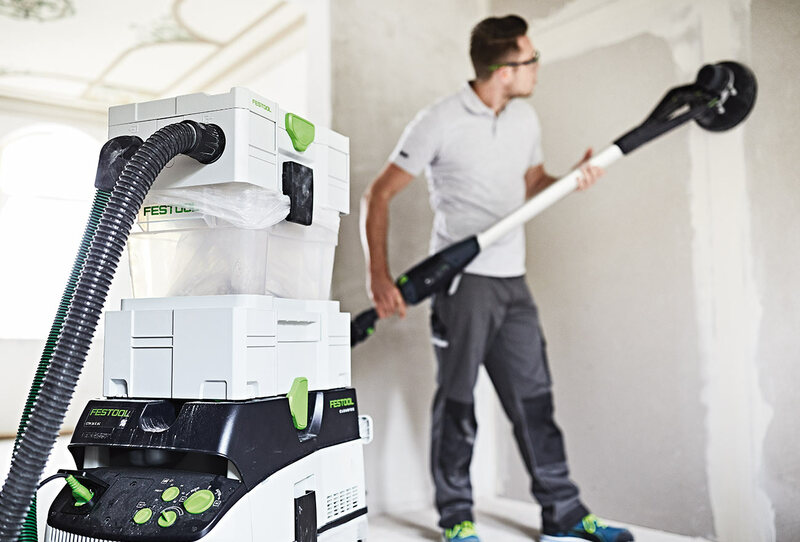 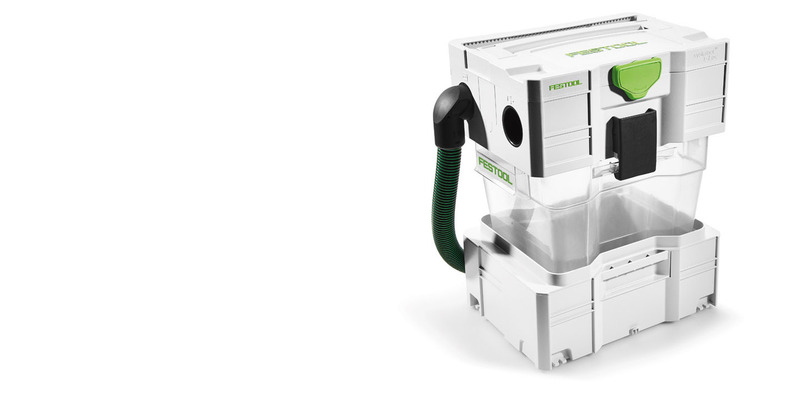 The Festool CT pre-separator with Cyclone technology separates and collects coarse and fine dust, before they enter the mobile dust extractor. 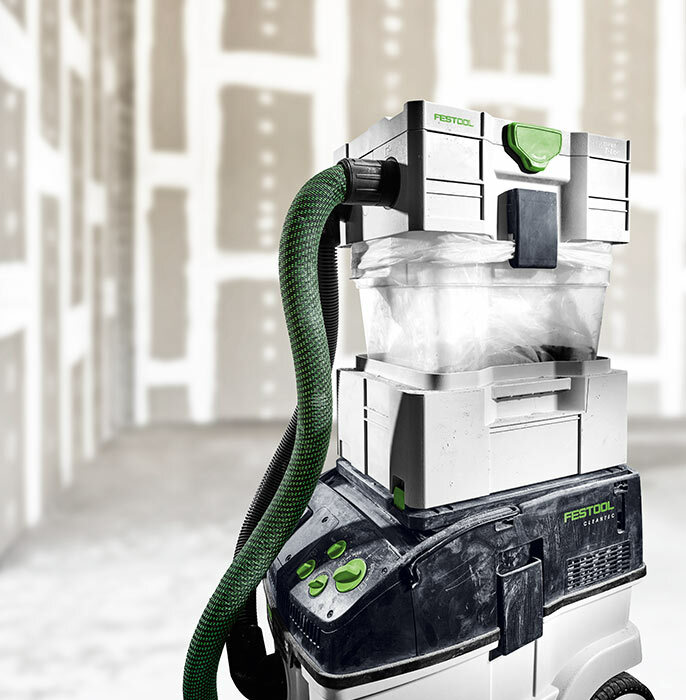 The dust-laden air is forced into a spiral motion in the Cyclone, causing the particles to impact against the wall of the Cyclone and fall into the CT pre-separator’s collection container. 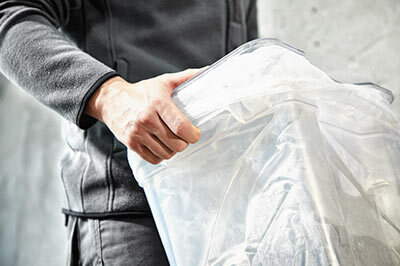 The transparent collection container makes it easy to see how full it is. 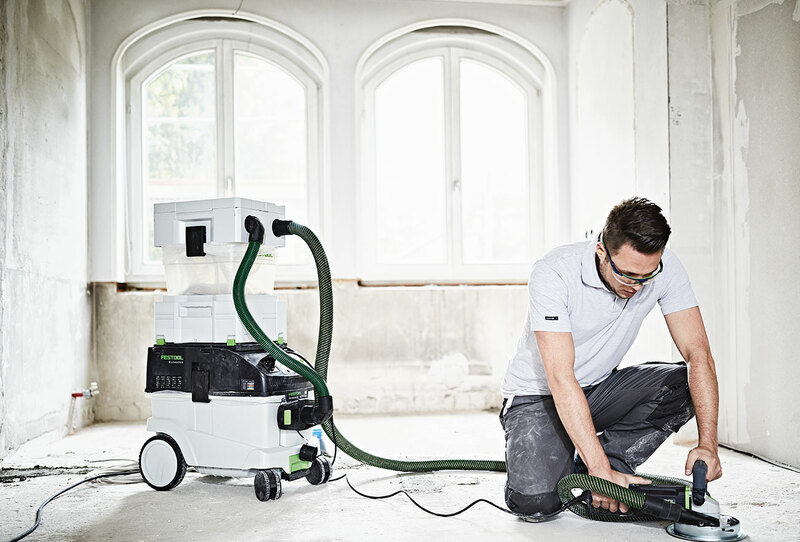 Good grips make disposing of high volumes of dust an easy job. 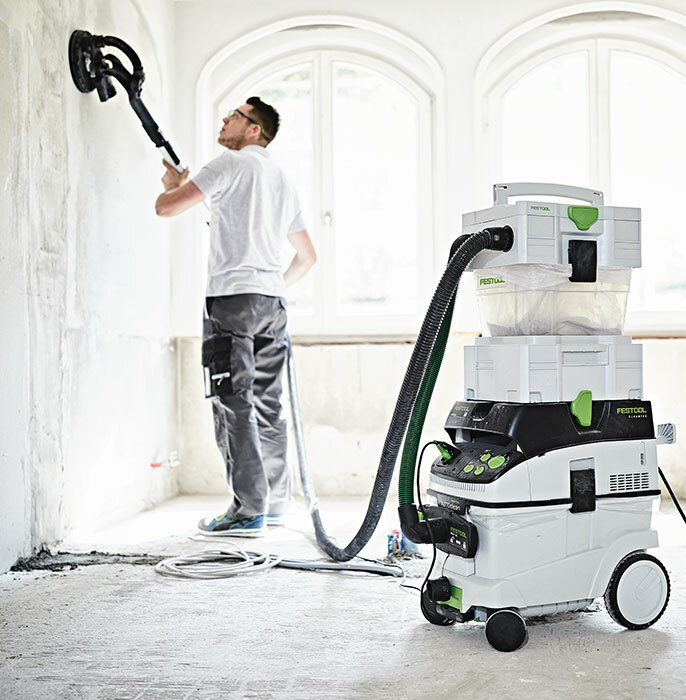 The mobile dust extractor and CT pre-separator can be connected easily using the SYS-Dock system. The CT-VA pre-separator is approved for dust classes L and M.
When using the CT-VA pre-separator, the PLANEX Classic suction support is reduced.